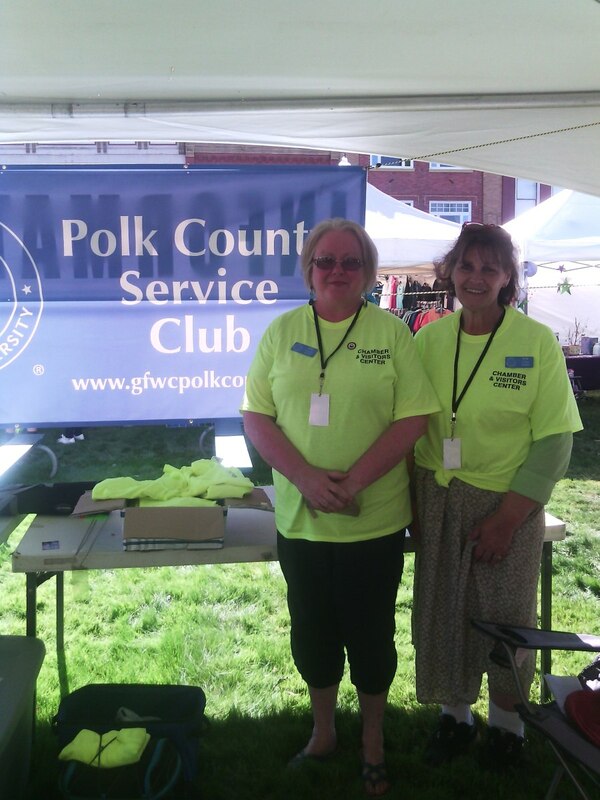 GFWC Polk County Service Club is a member of the General Federation of Women’s Club, one of the oldest volunteer organization’s in the world. We are located in Independence, Oregon and have the last known GFWC Woman’s Club in Oregon. The woman’s club was built in 1868 and is registered in the Historic District in Independence, Oregon. The clubhouse was moved to its current location in 1927 and has been used by the community for weddings, birthday parties and other church’s who have just started in the community. It currently is available for rentals for the community at a very reasonable rate. GFWC Polk County Service Club was formed in 1914 by the progressive ladies in Independence, Oregon. The first ladies of Independence decided that the town needed help in the Clean Up of the City as well as helped the local schools and normal school with their efforts. When the Club House was moved to the current site the Women in Independence deeded the front of the property to the City for the building of the First Independence Library. That was completed and the building is still standing. It currently has been redeeded to the City to use for educational, arts and literary purposes for the benefit of the Citizen’s of Independence. Early Club members were instrumental in forming the PTA in the area and also served on many of the cities committees for the betterment of the community. Throughout the years Women in the Polk County area of Oregon have been instrumental in getting towns cleaned up, parks formed, libraries formed as well as the PTA. Women and Men who support women’s rights, children’s rights and those that have been abused either women or men would be a great addition to the Service Club. The meetings are open to the public and we encourage those in the Polk County area to come to one of the meetings and help contribute to service in the Community. Club members meet at the Club House on the second Wednesday of the month starting at 6 pm and the meetings start in September and go through June each year but there are other activities for members to do in the community for July and August. If you would like to volunteer we are always looking for new members. Members are not limited to women as men also have joined. We also have a Juniorette Club which consists of boys or girls from the age of 10 to 17 so that they can learn about volunteering in their community.